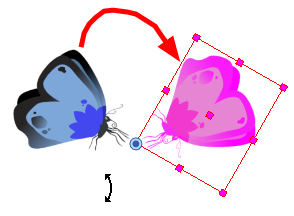 Refer to Positioning Elements in 3D Space to learn about the 3D Transform tool and how to position elements in 3D space. 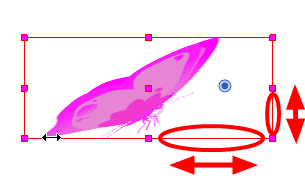 Some transformations, such as rotation, scale, skew and flip, are made relative to the pivot point position. 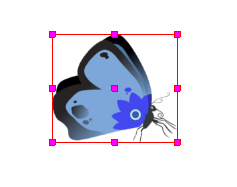 You can temporarily reposition this pivot point for each transformation using the Transform tool. 2. 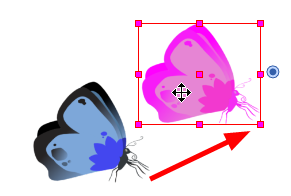 In the Transform tool Tool Properties view, make sure that the Peg Selection Mode is disabled. 3. In the Camera view, click on your element to select it. The pivot point will appear in the Camera view. 4. Click on the pivot point and drag it to a new position. This will be the new position of the pivot point for the current transformation. 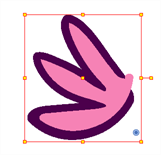 It will remain in this new position as long as you do not deselect the drawing. 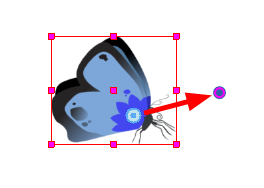 Using the Transform tool to reposition your pivot will temporarily override the existing pivot point position until you complete the current transformation, it then returns automatically to its original position. 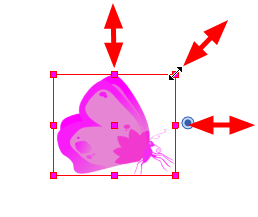 When you translate the pivot using the Transform tool, the permanent pivot will appear as a ghost so you know where it is and also from where the animation will be interpolated when you create motion paths. The animation is always interpolated from the original pivot and not the temporary pivot.